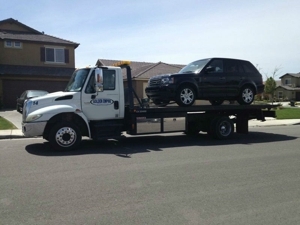 Golden Empire Towing is a family-owned and -operated business providing professional towing services to customers in Bakersfield and the surrounding area. Our staff works one-on-one with you to help you make sure that the vehicle is being towed safely and securely. We aim to deliver results that exceed your expectations every time you call us. Whether you are looking for residential towing or commercial towing, we handle it all. Our drivers offer professional towing services. We offer car lock-out services, 24/7 emergency towing services, heavy-duty towing services and much more. Call us at (661) 282-1870 to learn more about our services. Why Choose Golden Empire Towing?